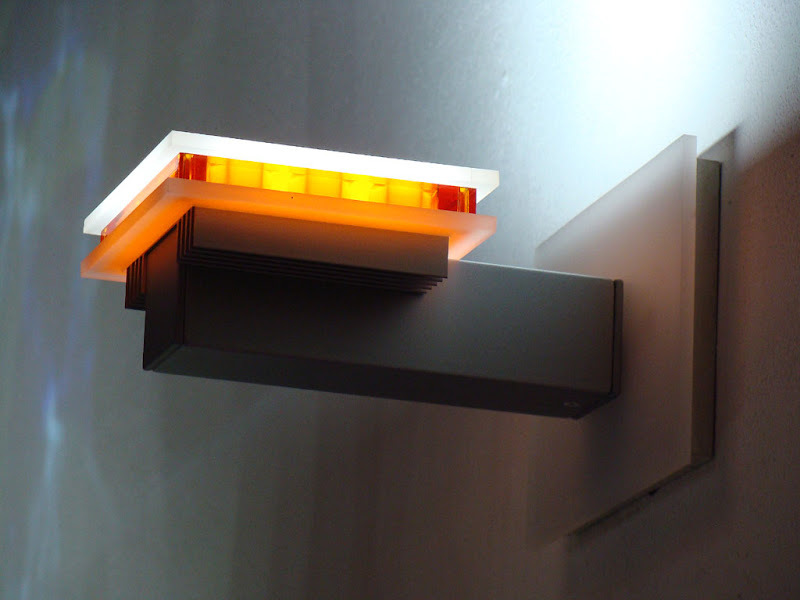 Aesthetically “d-light”™ is pure shape. The product has minimal presence and leaves it to light itself to steal the show. The form is simple and austere, making for a sober appliance that does not monopolize attention, but provides light, atmosphere and comfort. It is to the same sober design based on right angles and lines that the “d-light” owes its universal and timeless character. We have resolutely chosen to enter into a dialogue with architecture. The result? A thin, minimalist lamp that thrives where you put it. 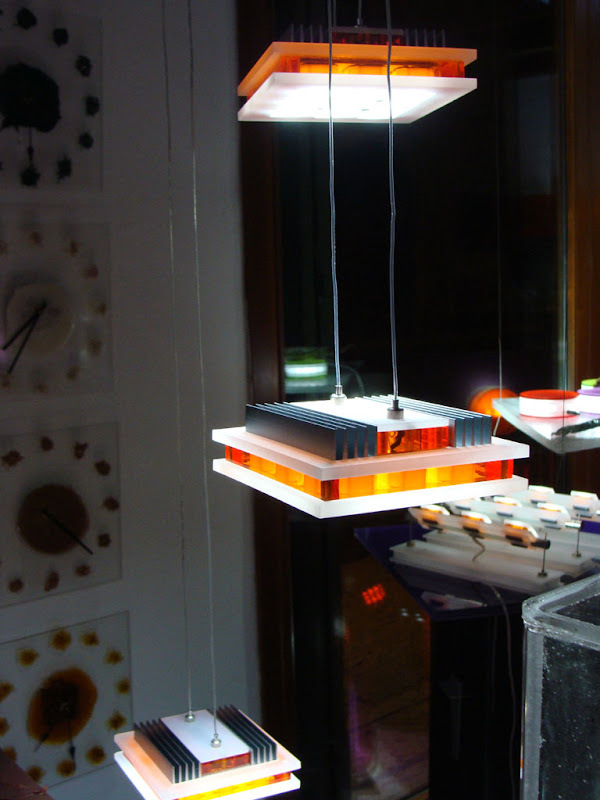 A lot has been written about LEDs. 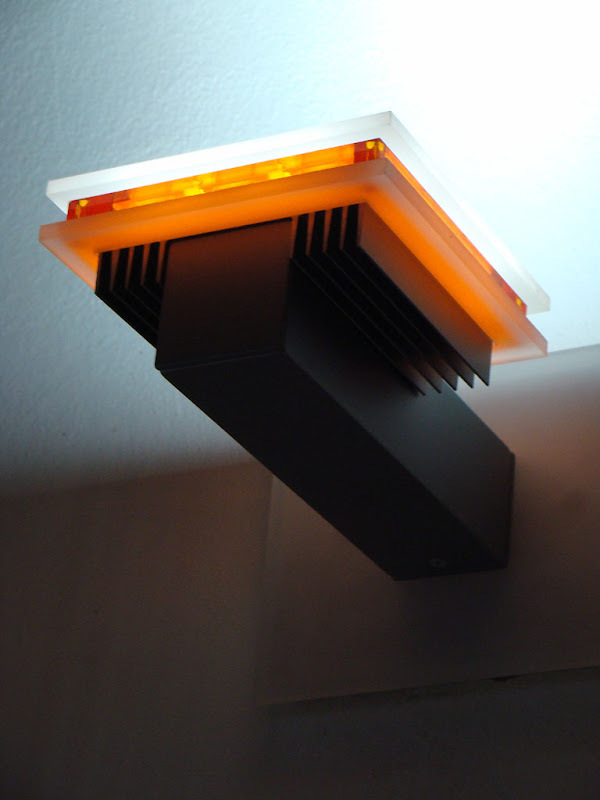 If you have been exposed to white LEDs, you probably discover that they emit a lot of light of a pleasing color. We have worked to make the light spread smoothly and evenly with the appropriate optics. Heat is the great enemy of LEDs. This is ironic, since light bulbs work by heating a filament to such a high temperature that it glows. We've taken great care to use high quality LEDs and to properly design a compact and beautiful lamp to ensure its long life by efficiently dispersing the generated heat. There is a strong tendency in today's “creativity” to solely rely on “basic” emotional impact to capture the attention of the public, through strong solicitation to surprise and bewilder. We have instead ventured into serenity! How about that? With “d-light”™ we have pointed both, towards abstraction and measure, towards balance and simplification of all iconic messages, presenting meditative silence as opposed to excessive noise.